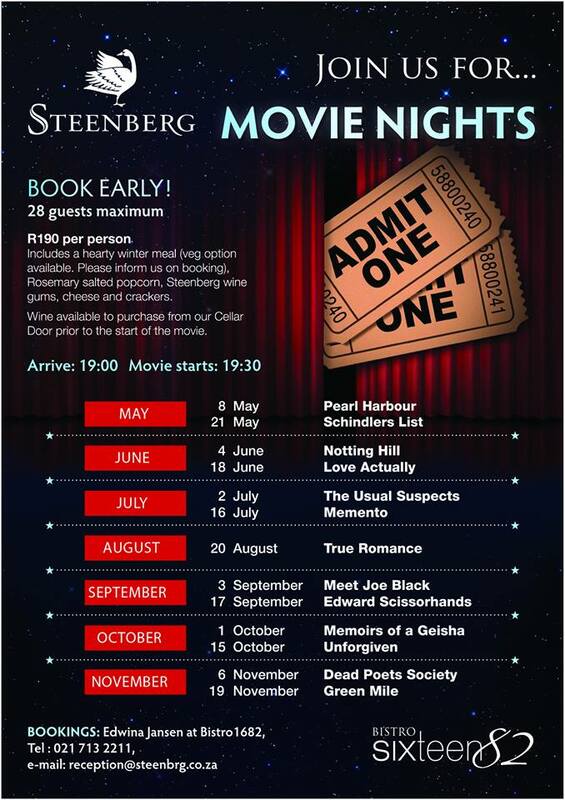 Enjoy a movie night with Steenberg and Bistro 1682 in Tokai. Enjoy a hearty winter meal (vegetarian options are available), popcorn, Steenberg wine gums, cheese and crackers, and a movie for R190 per person. Wine is available for purchase prior to the start of the movie.